The International Criminal Court’s chief prosecutor warned on Sunday that actions taken by the Israeli army and by Hamas during the last two weeks’ protests at the Gaza border may constitute war crimes. Fatou Bensouda noted that at least 27 Palestinians were killed and more than a thousand wounded, “as a result of shootings using live ammunition and rubber-bullets.” At the same time, she stressed that her office will prosecute any violence or incitement to violence carried out on territory under its jurisdiction, which could be seen as a warning to Hamas, the Gaza-ruling terrorist group Israel says is responsible for the protests around the so-called “March of Return” turning violent. “Violence against civilians — in a situation such as the one prevailing in Gaza — could constitute crimes under the Rome Statute of the International Criminal Court (‘ICC’ or ‘the Court’), as could the use of civilian presence for the purpose of shielding military activities,” her statement read. While Palestinian organizers say their weekly marches are intended to be peaceful, Hamas is publicly backing the protests, and Israel argues that Hamas is encouraging its operatives to carry out offensive operations, including efforts to breach the border fence, bombings and shootings, under cover of the protests. Hamas acknowledged that five Gazans killed on March 30 came from its ranks, and Israel has said that many more of those killed are members of Hamas and other terror groups. 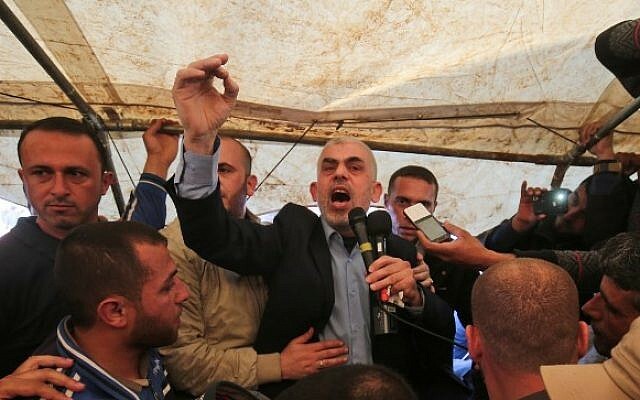 Hamas leaders, including its Gaza chief Yahya Sinwar, have publicly told protesters that the marches are aimed ultimately at erasing the border and liberating Palestine — by which they mean eliminating Israel. Bensouda, in her statement, warned both sides against any future breaches of the law, recalling that her office opened a preliminary investigation of the “situation in Palestine” in 2015. “While a preliminary examination is not an investigation, any new alleged crime committed in the context of the situation in Palestine may be subjected to my Office’s scrutiny. This applies to the events of the past weeks and to any future incident,” her statement read. The Foreign Ministry in Jerusalem did not respond to an immediate request for comment. 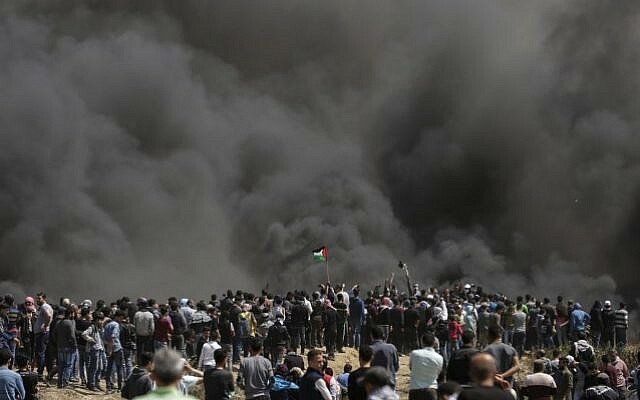 Bensouda’s announcement came hours after Israel announced an inquiryinto the military’s response to the series of violent protests along the Gaza border, which has so far resulted in the deaths of some 30 Palestinians. The army conducted similar investigations of this level following the 2014 Gaza war and after a United Nations peacekeeper was accidentally shot dead in 2015 during a clash between Israeli troops and the Hezbollah terrorist group. 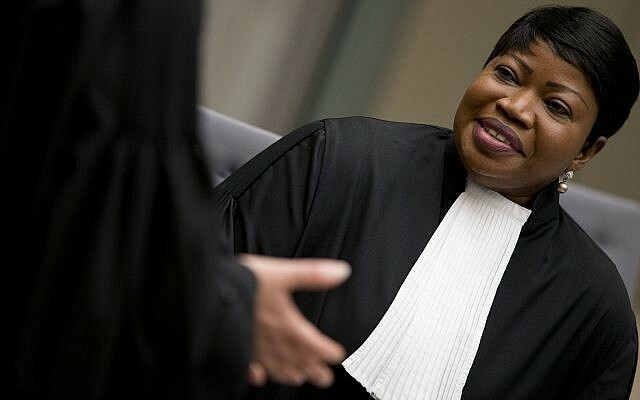 While Bensouda’s statement appears to say that Israeli army’s use of live fire at the Gaza border may fulfill the court’s gravity requirement, Jerusalem’s announcement of the inquiry may head off an international investigation due to the court’s “complementarity” requirements. According to the Rome Statute, the ICC can only investigate crimes if the country where they are allegedly committed fails to properly investigate itself.